I hope you have had a super time over the summer holidays and I am sure you are now ready to start the new school year. I am looking forward to getting to know you and working together so that we have a very enjoyable and productive year. I hope that you enjoy the new challenges and approaches to learning that Year 3 has to offer! We had a 'magnifique' day on French Day - 26th May. Year 3 made fabulous constructions of the Eiffel Tower using straws and playdoh. We had a great boules competition and enjoyed our French treat of croissants and pain au chocolat. 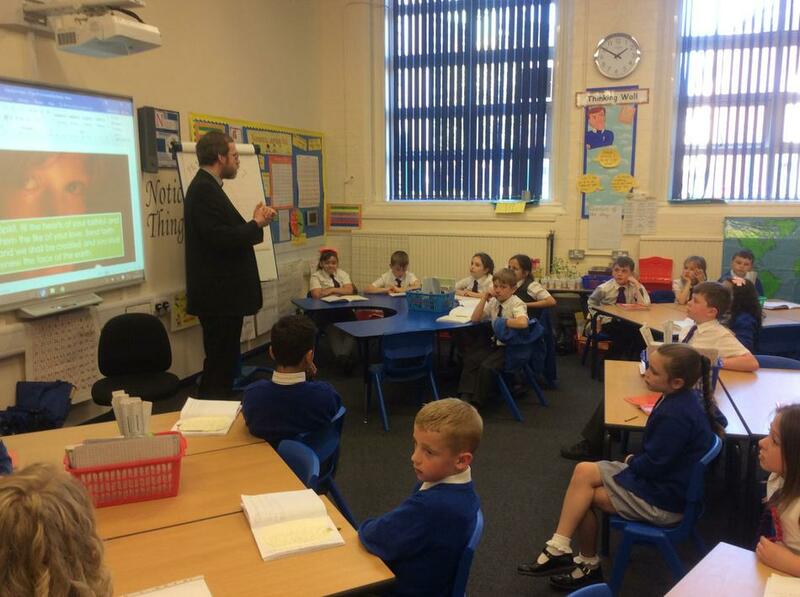 On Wednesday Fr Martin visited Year 3 to answer the questions we had prepared about Pentecost. We have been learning about the coming of the Holy Spirit at Pentecost and we also wanted to know how Pentecost is celebrated nowadays in our church. 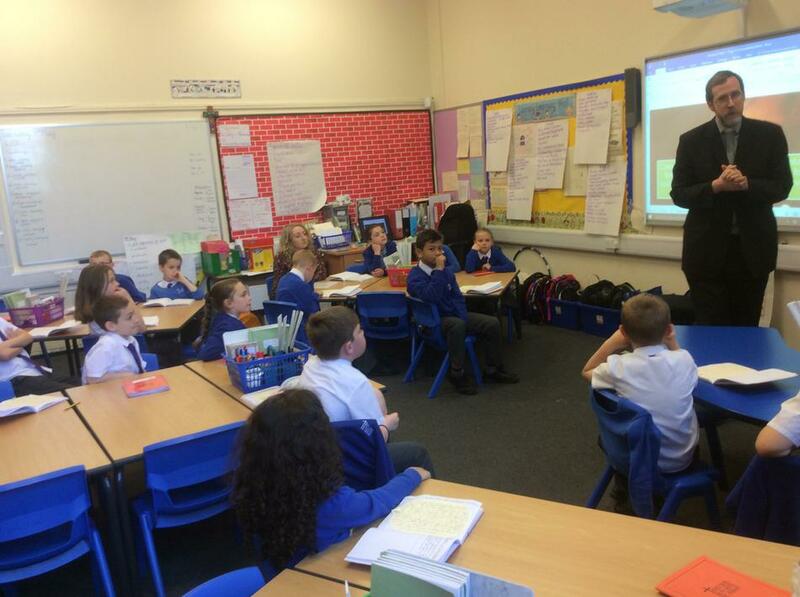 The children impressed Fr Martin with the many questions they had prepared. Fr Martin told us all about the special mass the parish is having on Pentecost Sunday (4th June) and that there will be a party in the parish hall after mass, as Pentecost is the birthday of the church, so there will be a party after with games and refreshments for everyone. Look at our fantastic Learning Log homework. 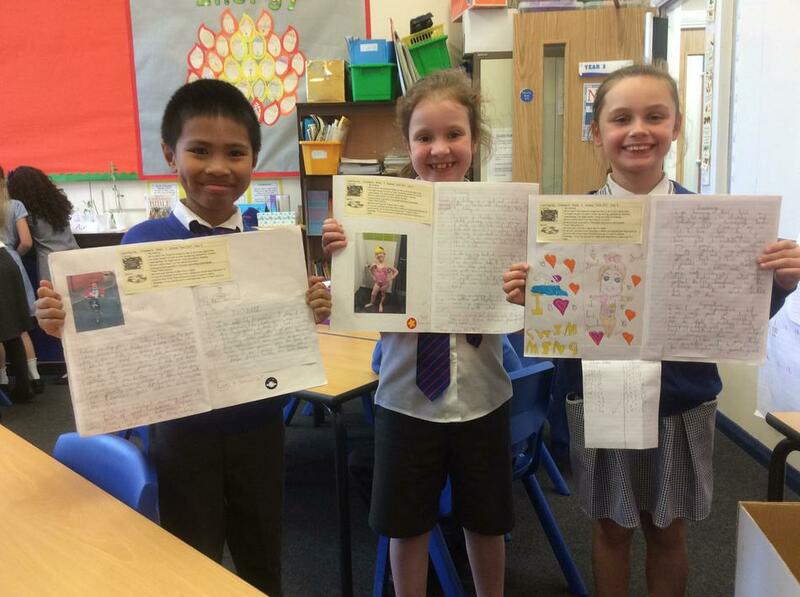 These Year 3 children have written lots of fabulous information about their hobbies and what they like to do in their spare time. It looks as though they have a very busy time out of school. Well done children! We've been working on co-ordinates, directions and compass points in maths. Our student teacher Miss Littlewood took us into the hall to do some practical learning. 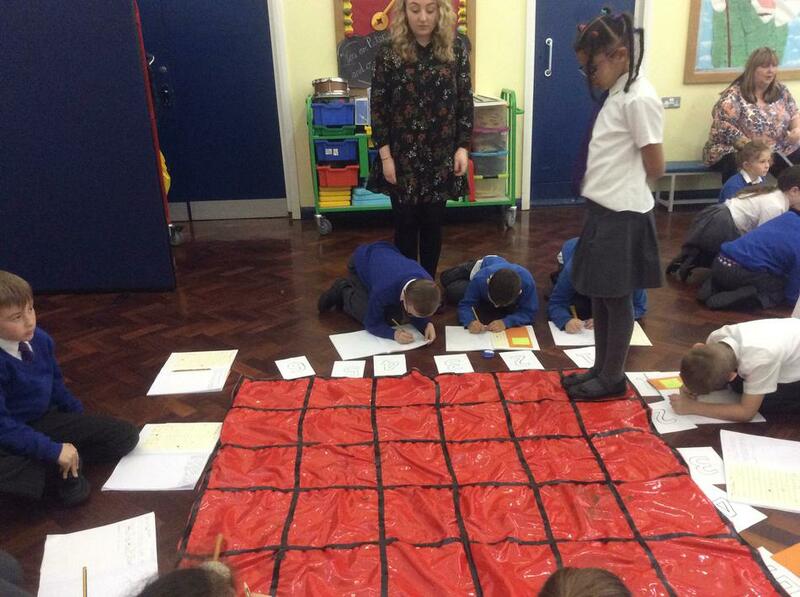 We used the paint mats grids and we had to move around the grid to find the treasure. We were busy recording our co-ordinates and directions in our maths books. 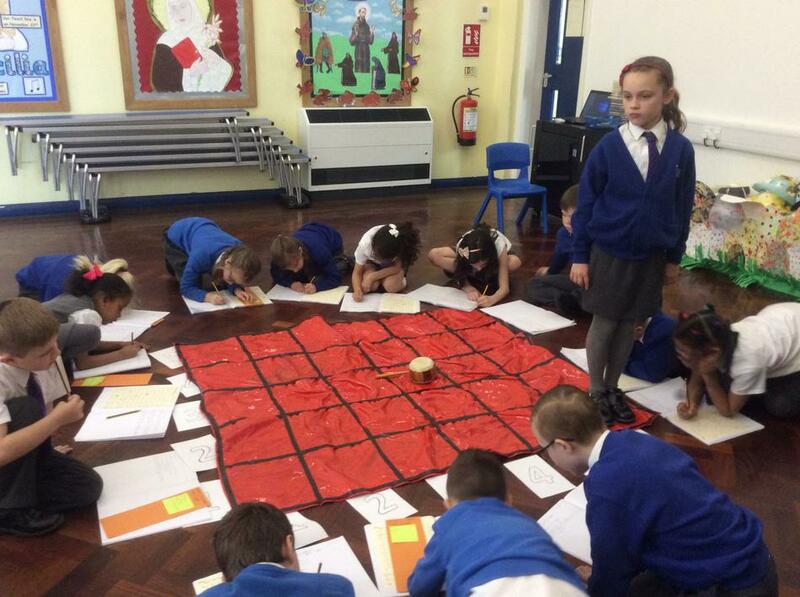 It was a great way of getting a better understanding of co-ordinates. We learnt lots about life in Ancient Egypt during our topic. We used our Design and Technology time to make model thrones for an Egyptian pharaoh. 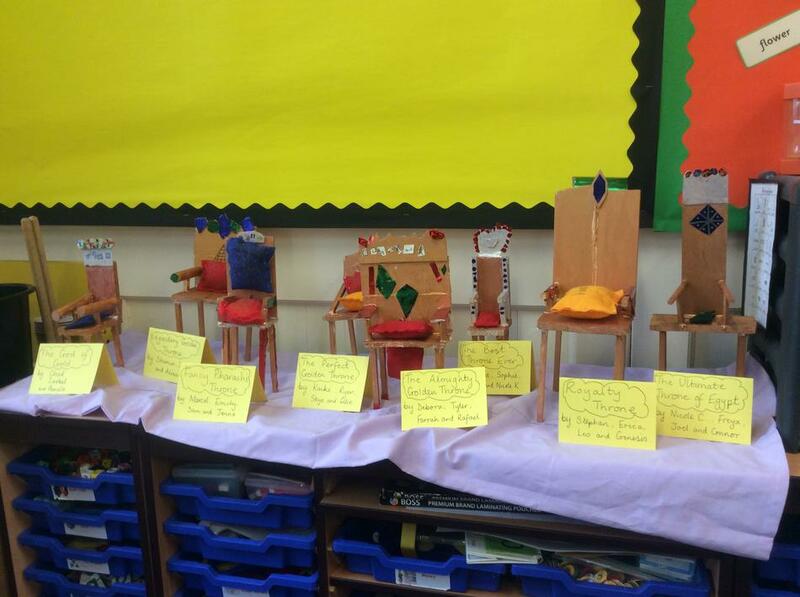 Each group designed their throne and then used woodwork tools to make and decorate their thrones. The results were amazing! We raised over £1300 to help those less fortunate than ourselves. It was part of our Lent fundraising activities. 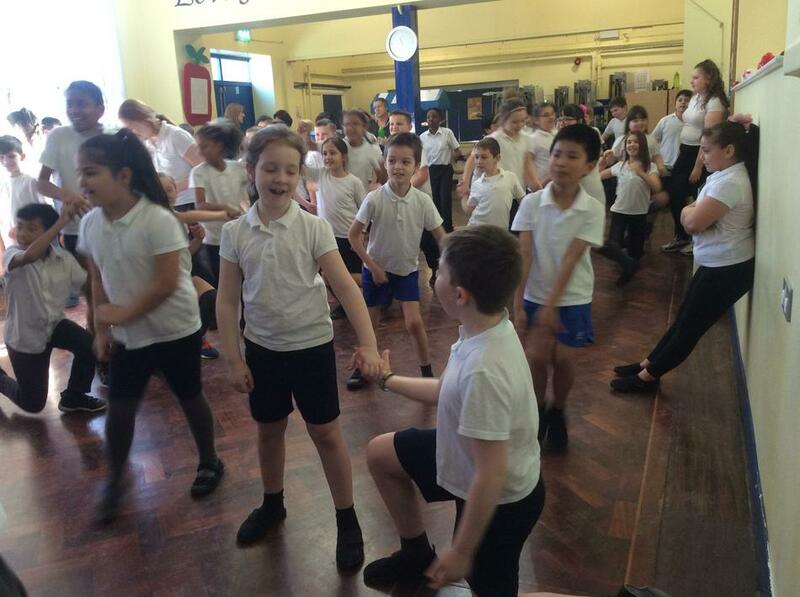 The Dance-athon we had was brilliant! We had lots of fun and were able to support the charities of Caritas, Diocese of Salford and Comic Relief.